Medieval-style thatched-roof, timber-frame cottages. 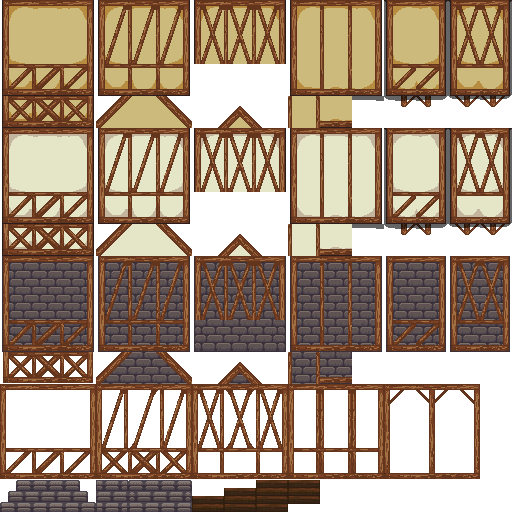 Preview also includes tiles from http://opengameart.org/content/lpc-windows-doors . 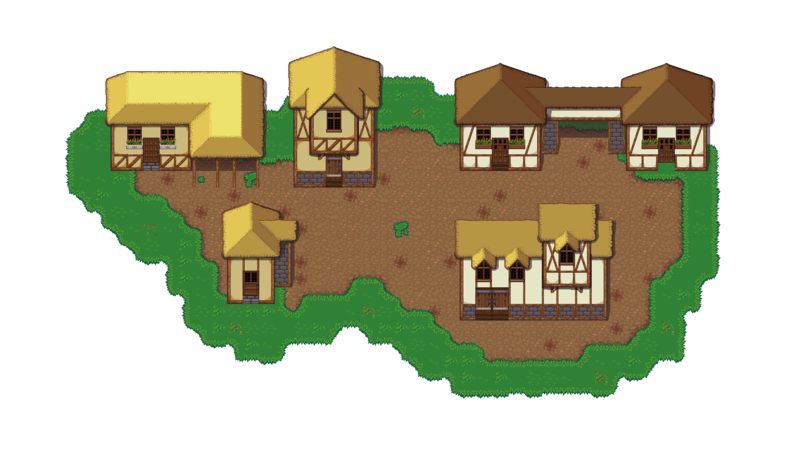 What are the ground tiles you are using? 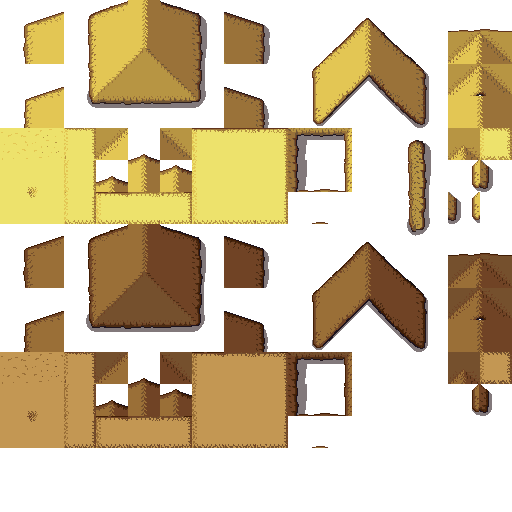 Ground tiles are from the Liberated Pixel Cup base assets.